Clearing snow from hard-to-reach places such as under parked trailers can be a difficult task for a standard snow pusher. 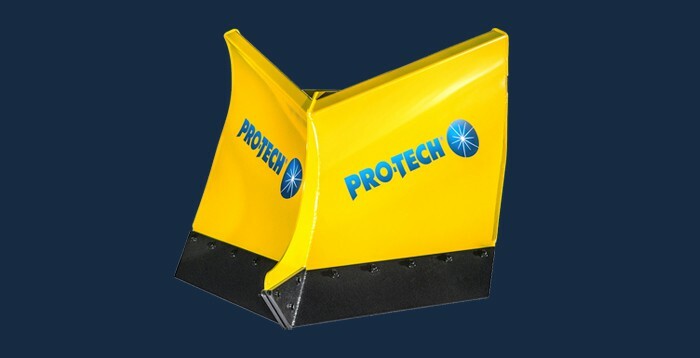 That is why Pro-Tech’s Low Profile Angle Sno Pusher has become so popular among snow and ice professionals. 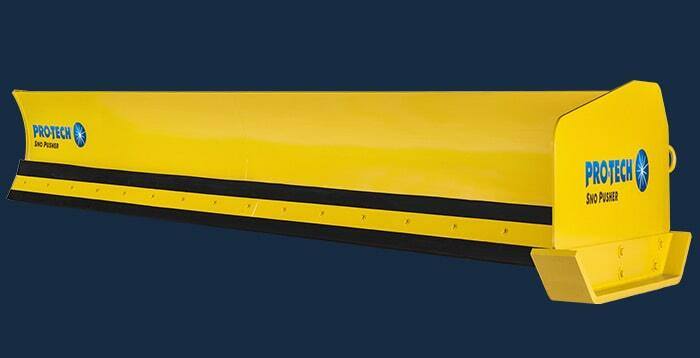 Customers love its ability to reach and remove snow from under the fifth wheel pin of parked trailers. 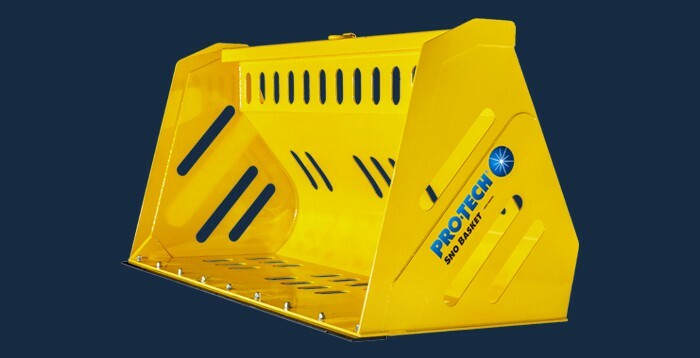 The offset design can reach under obstacles up to 6ft. 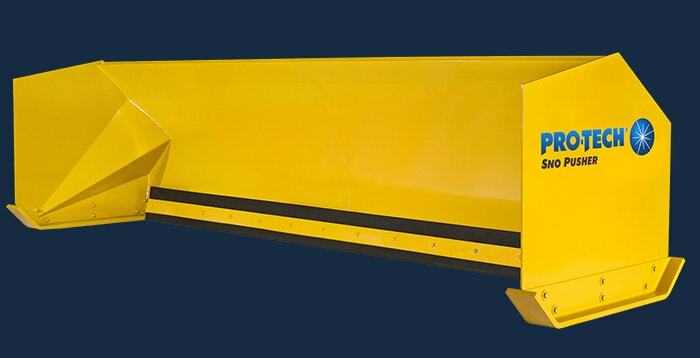 Its 30 degree angle can be used for windrowing snow into a center pile for follow up crews. 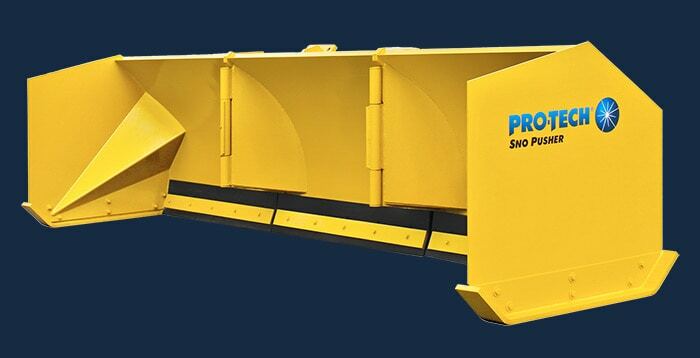 Customers have also found other ways to use the Low Profile Angle Sno Pusher, such as clearing snow from bus circles or down roadways. 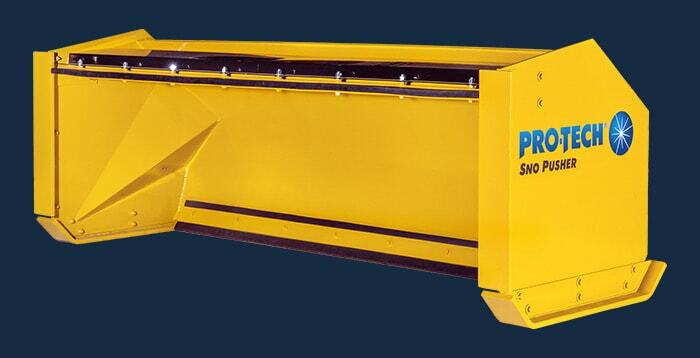 The Low Profile Angle Sno Pusher comes in an 18’ model, available for loaders and backhoes. 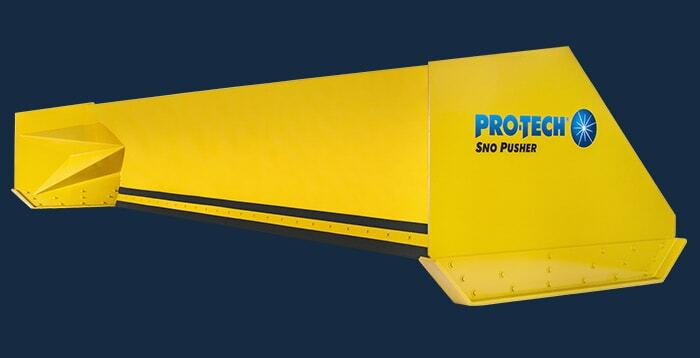 How does a Sno Pusher connect? 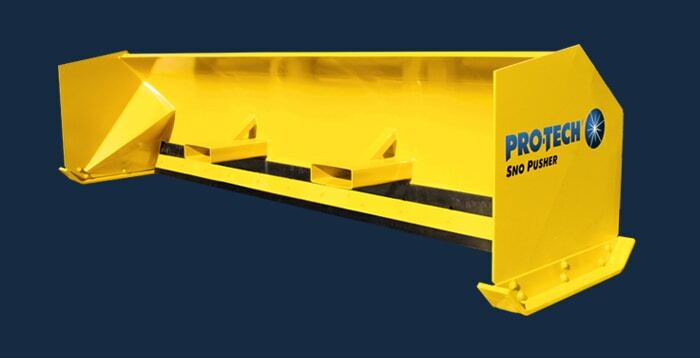 Loaders & Backhoes: The standard connection is a post receptacle connection. Just drive into the Sno Pusher receiver, connect your safety chains and a binder, and start pushing snow! Skid Steers: The standard connection for skid steers is a universal coupler mount. What happens when shoes or cutting edges wear out? Both the shoes and the rubber cutting edges are bolted on and replaceable. When the rubber edges are worn, they can be flipped so the opposite end can wear. 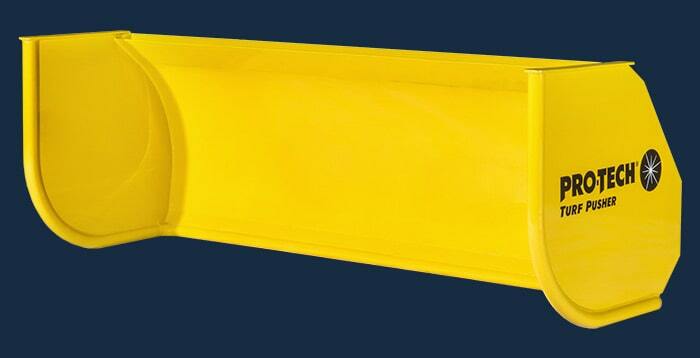 Rubber cutting edges can and should be adjusted with use/wear, to get the longest life possible out of them. We also make upgraded wear shoes that self level or that come in a higher abrasion resistant strength to ensure the shoes wear evenly – which means longer wear life on the edge. How far down should the cutting edge go? 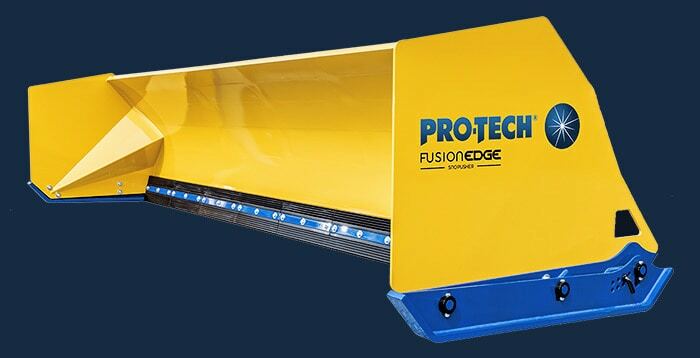 The cutting edge should extend between approximately 1/8″ and 1/4” below the wear shoe — just enough so that the bottom of the back edge is flat to the surface. The side of the edge SHOULD NOT be the point of contact with the surface. 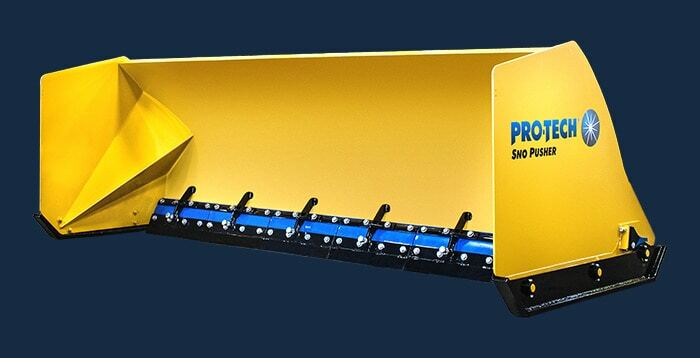 How do I use a binder kit with the Low Profile Angle Sno Pusher? The binder kit is attached in the same way as our standard rubber cutting edge models with the only difference being the lengths of the chains on the Low Profile version. 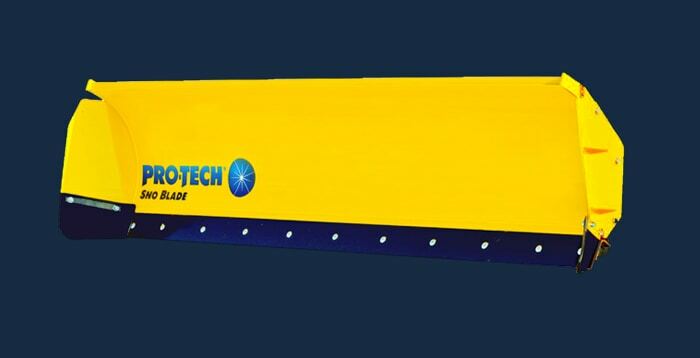 Is your Sno Pusher warranty registered? Make sure that your purchase is covered. Click the button and sign up today.